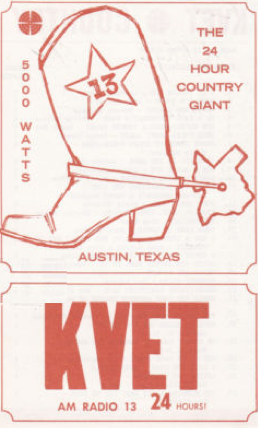 KVET is one of Austin's oldest stations, launching in 1946 and disseminating much of the city's local music during its first two-and-a-half decades. 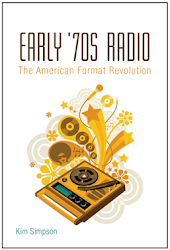 In 1969 the station locked into formatted country, with deejays like Jerry Gee (also a program director), Sammy "Geezinslaw" Allred, and Pete Grady. In 1970, Billboard reported station president John R. Kreiger as having had all he could take of "records containing profanity" and that he'd be banning certain popular disks from KVET. For country, this was the era of experimentation and fear: radio stations and the records they spun were going through unprecedented changes, while a definite "hell in a hand basket" feeling troubled the establishment and expressed itself in various ways, such as this action of Kreiger's. Artists mentioned in the article as having crossed KVET's decency line were future outlaw Waylon Jennings (no big surprise) and "Nashville sound" pioneer Eddy Arnold (very big surprise). The Jennings song in question was "The Taker," a Shel Silverstein-Kris Kristofferson co-creation containing the lines "he'll do her the way that I'd never, damned if he won't do her wrong" and "he'll take her to places and make her fly higher than she's ever dared to." (This ended up being one of Waylon's earlier monsters, hitting #5 on the country chart and infiltrating the Hot 100). 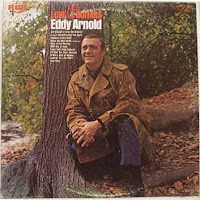 As for Eddy Arnold, the song in question was his "A Man's Kind of Woman," in which he sings, "I can cheat the world with a losing hand, walk away and not give a damn except for you." Two other country singles listed as being in trouble at KVET were (1) "Hey Joe," a track credited to Dean Michaels (very little info anywhere about who this was) from the Joe soundtrack featuring bleeped-out expletives and no connection with the Leaves/Hendrix song, and (2) Roy Clark's "I Never Picked Cotton" (like "The Taker," a top five country hit), which depicts voluntary manslaughter and features the line "there ain't a hell of a lot that I can look back on with pride." Any future record-banning practices never made the pages of Billboard, and KVET stands firm to this day as one of Austin's country radio heavyweights. Some recent profanity flareups, though, involved the aforementioned Sammy Allred, whose utterances cost him his longtime gig in 2007. 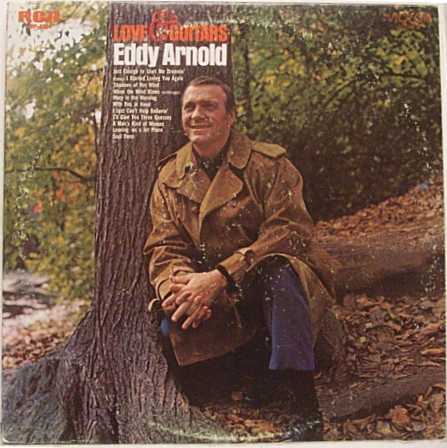 Eddy Arnold - "A Man's Kind of Woman" (Billboard country #28, entered 7/11/70). Written by George Rizzo Produced by Chet Atkins. 45: "A Man's Kind of Woman"/"Living Under Pressure" (Billboard flipside, entered 7/11/70). Written by Baker Knight. 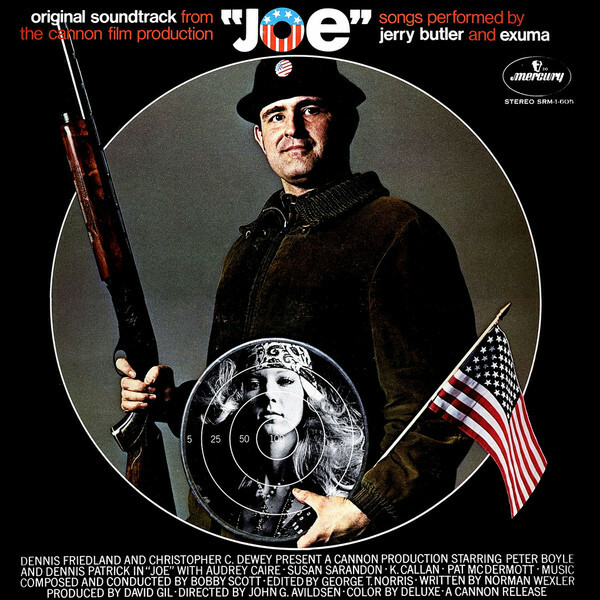 (RCA Victor 1970). LP. Love and Guitars (1970). Not mentioned in any of the Billboard articles was "Living Under Pressure," a me-generation relationship song that charted as a country flipside and included the following line: "The trying test of time they could not weather, deciding straight to hell with yesterday." So the single was, in fact, a double-sided Eddy Arnold swear-fest. 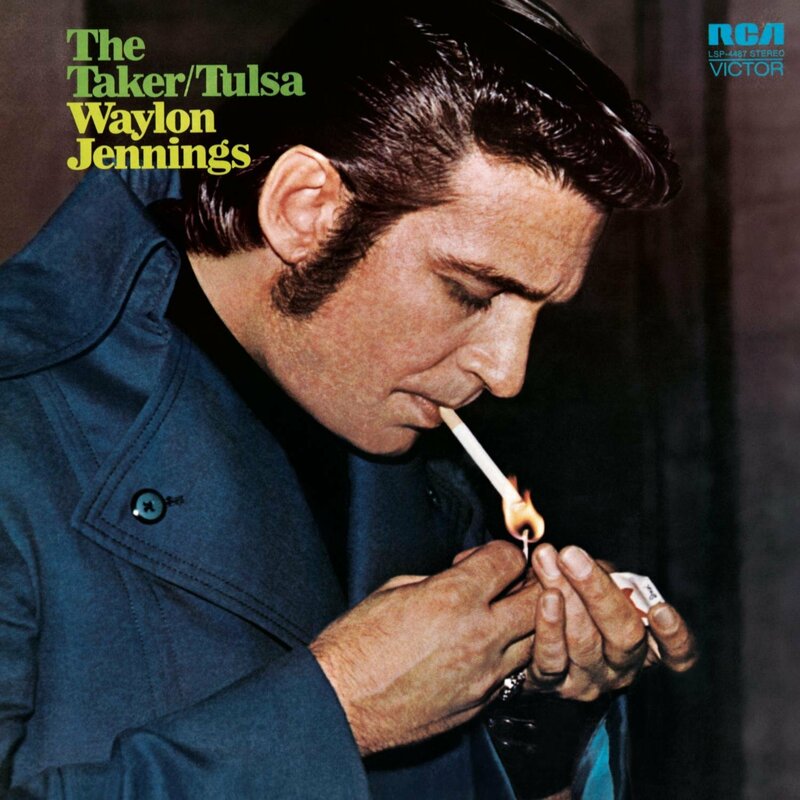 Waylon Jennings - "The Taker" (Billboard #94, entered 10/17/70; country #5). Written by Kris Kristofferson and Shel Silverstein. Produced by Danny Davis. 45: "The Taker"/"Shadow of the Gallows" (RCA Victor 1970). LP: The Taker (RCA Victor 1970). The B-side appeared in a 1970 Australian film called Ned Kelly starring Mick Jagger with a beard. And you thought you knew your seventies. 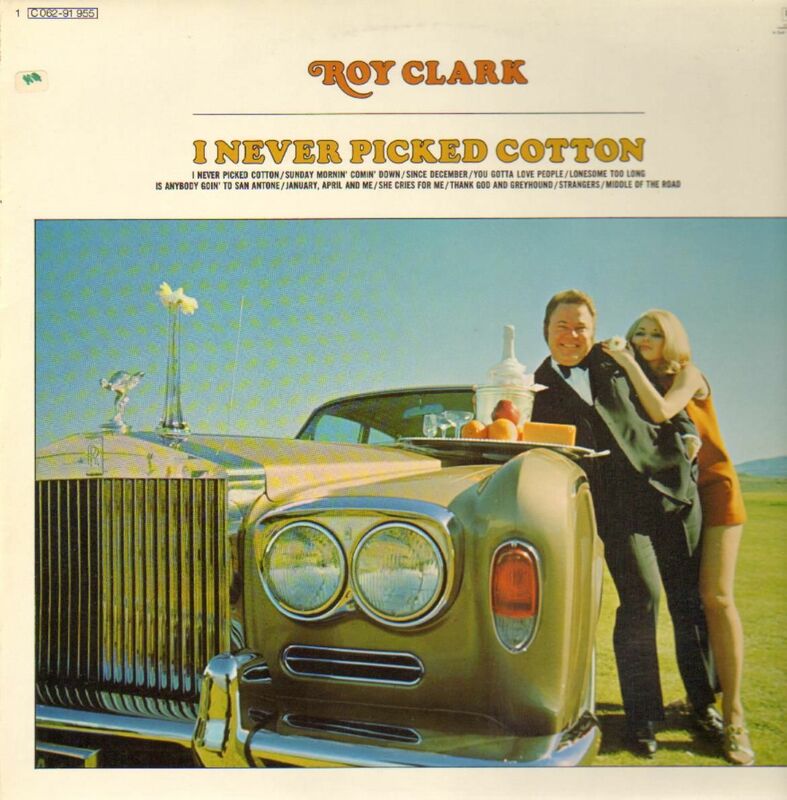 Roy Clark - "I Never Picked Cotton" (Billboard #122, entered 6/13/70; country #5). Written by Charlie Williams and Bobby George. Produced by Joe Allison. 45: "I Never Picked Cotton"/"Lonesome Too Long" (Dot 1970). 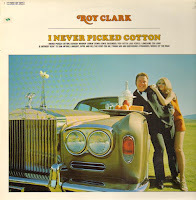 LP: I Never Picked Cotton (Dot 1970). Johnny Cash revived this steel-eyed classic on his 1996 Unchained album. Dean Michaels - "Hey Joe" (did not chart) Written by Bobby Scott and Danny Meehan. Produced by Bob Cullen. 45: "Hey Joe" (stereo)/"Hey Joe" (mono) (Mercury 1970). 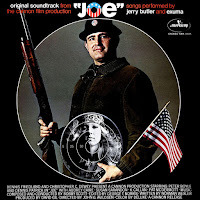 LP: Joe (original soundtrack) (Mercury 1970). Although this non-charting song comes off as a country parody, evidence suggests it infiltrated more than a few legitimate playlists.